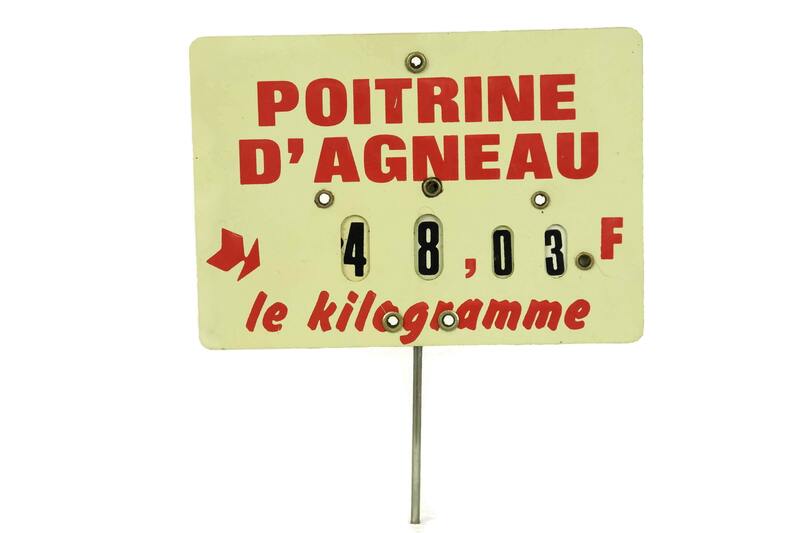 A vintage French butcher's price ticket label originally used in a butchers store as a sign to display the price of meat. 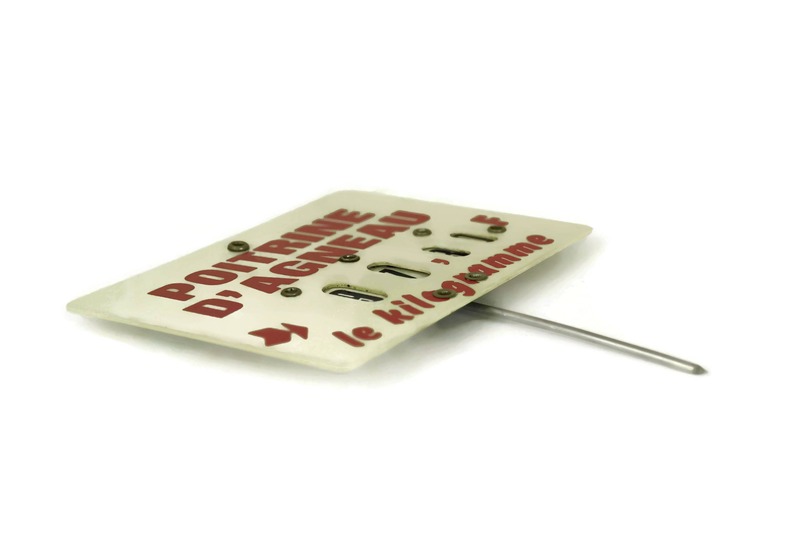 The label features a plastic card printed with the French word "Poitrine d'Agneau". The price can be adjusted by turning the printed discs at the back of the ticket. 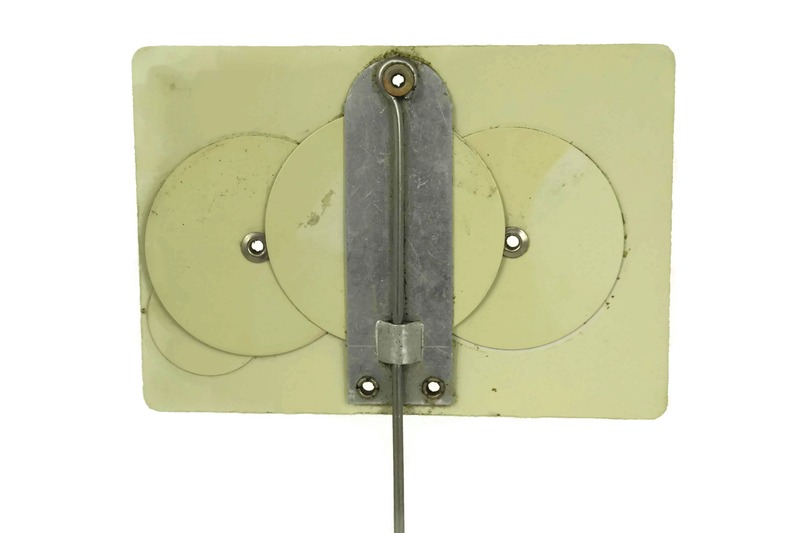 The thin metal spike allows for the ticket to be displayed in the shop counter. The label measures: 4" Wide x 2 3/4" Long (10 cm x 7 cm). 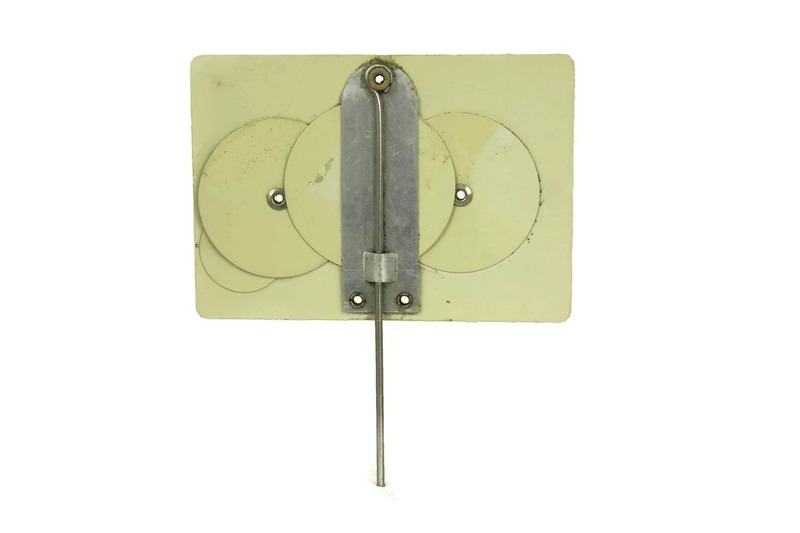 The exposed metal spike is 2" Long (5 cm). 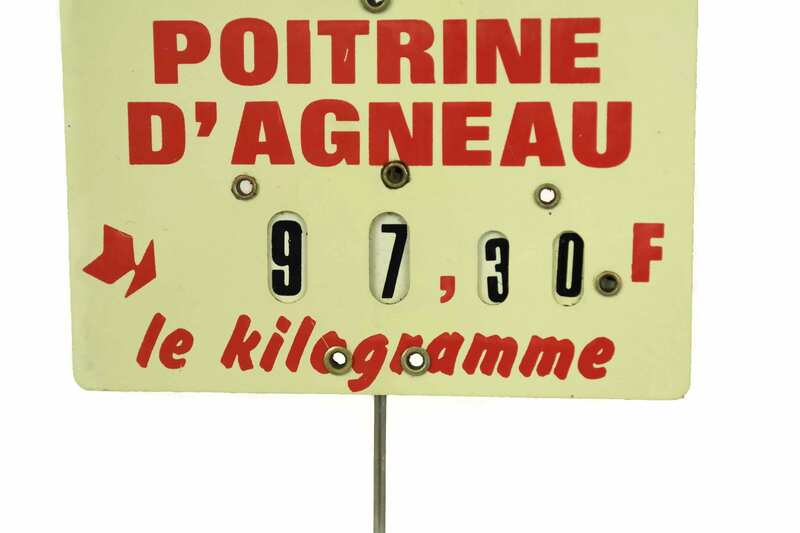 The French price ticket label is in good vintage condition with some signs of age and wear including marks to the surface of the plastic.